Click to see the Commission’s plan. The first thing to say about this area is that this is not a natural pairing, but it might survive for a Review or two because of the relative population growth of the two counties. 1. Brighton: the Commission have gone for a Brighton & Hove Inner and Brighton & Hove Outer arrangement – I prefer a Hove seat and a Brighton seat. 2. The Weald, Hailsham and Bexhill: Crowborough-Cranbrook makes quite a good cross-border seat but it throws out the pattern all around. In the Commission’s plan, Uckfield, Heathfield and Crowborough are all in different seats, and the Hailsham-Polegate area is split between seats. 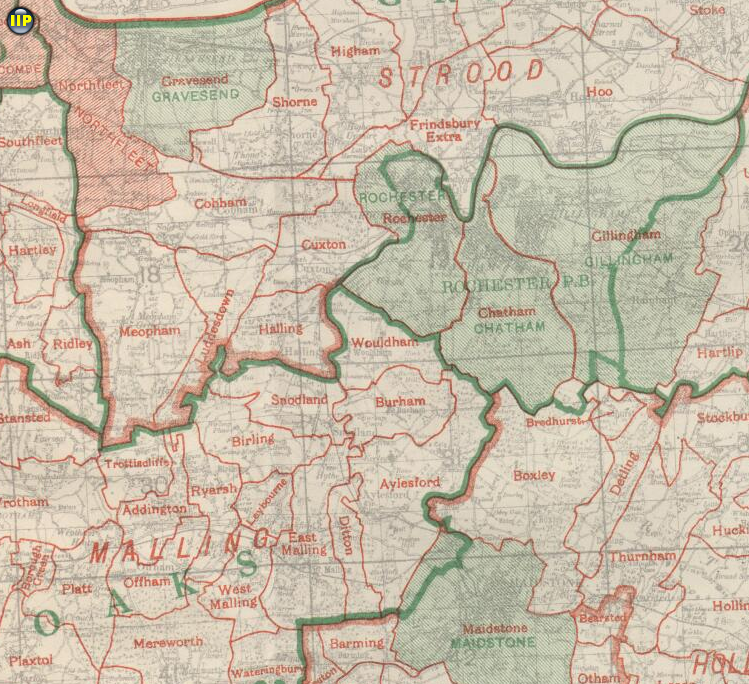 Although it’s an Odd Couple, the eastern side of the High Weald can be put together with Bexhill to form a seat that respects the boundary of Rother district and allows Ashford district to be separated into two sensible sections, one based on Tenterden. This also allows Uckfield, Heathfield and Crowborough to be in a single seat, as well as the creation of a seat based on Seaham and Hailsham. 3. Folkestone: Shepway district has an electorate of 80,060, so the constituency can be exactly the same. 4. Thanet/Canterbury: I’ve got nothing against Sandwich being in the Thanet seat, but it isn’t necessary. If you move the boundary between Margate and Westgate to the correct place, you can also create a coastal-towns constituency which will allow the Whitstable and Canterbury areas not to be split between seats. 5. 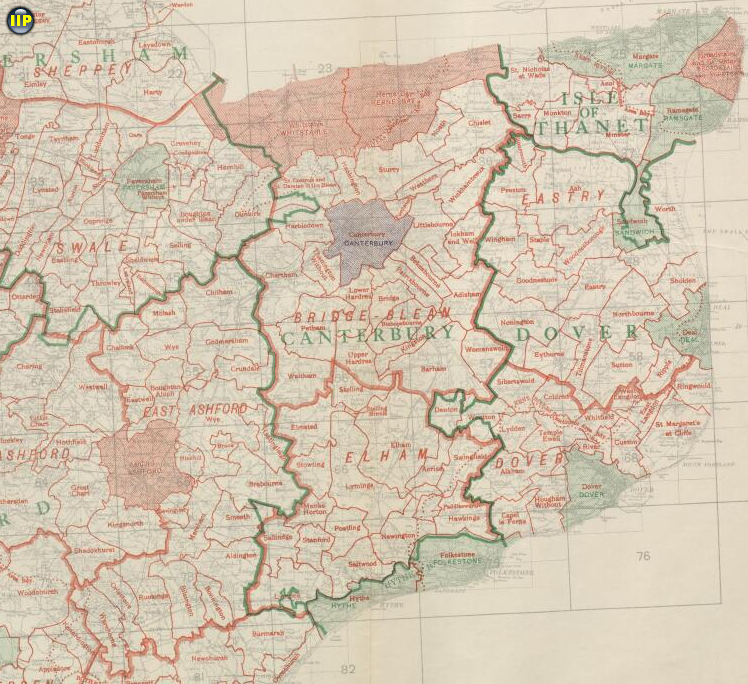 Medway: Including Snodland in the Rochester seat (i.e. 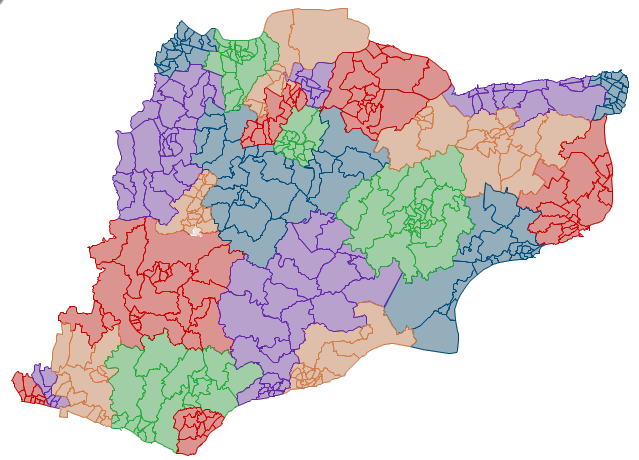 the border with the Chatham seat follows the river) allows a much better division of the Medway wards between seats, even without splitting any of them. 6. North West: I’ve included Swanley in the Dartford seat and New Barn in the Gravesham seat. 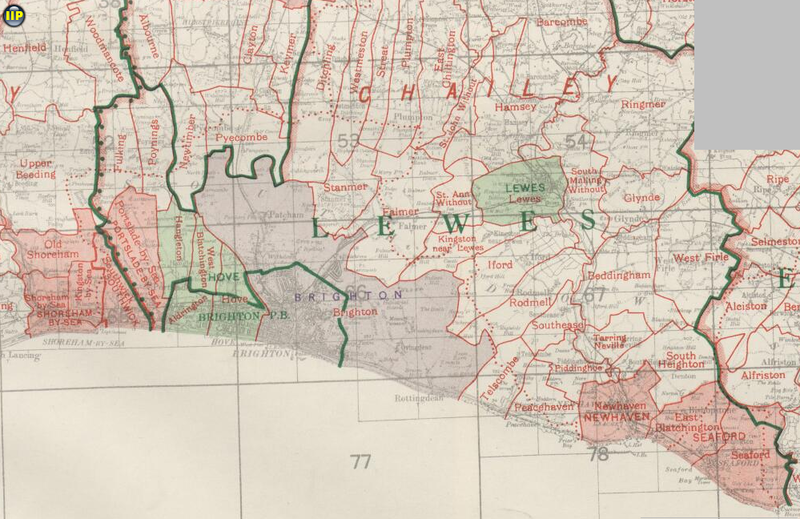 Brighton, Medway and East Kent in 1944. Click here to give the Commission your opinions. You’ve split central Chatham between three seats! In addition, you have two seats that cross the Medway UA-KCC boundary, when the boundary commission has implied heavily that it wants only one. You could fix both these problems by putting Snodland back, and putting Luton and Wayfield into your Rochester seat. This unites central Chatham (except the town centre) in your Rochester (& Chatham?) seat. The other Medway Towns seat – which, as it no longer contains Chatham proper, would have to be renamed (West Malling & Walderslade, perhaps?) is slightly undersized; the least problematic way of fixing it is to add Barming to it, and then to add Frittenden & Sissinghurst fron your Bexhill and East Weald seat to your West Weald seat. I’ve just realised that if you do add Snodland to the Rochester seat, you can leave the Medway wards in Chatham and Aylesford as they were before the review and both seats are in quota even without Barming. That arrangement is better than yours (especially as the Chatham wards are left unchanged), than the commissions’s (duh) and than the one I suggested above…or at least it would be, if it wasn’t almost certain to get thrown out for crossing the Medway UA-KCC boundary twice. Oh, and the rest of your map…is quite good. Lots of triborough constituencies, though. 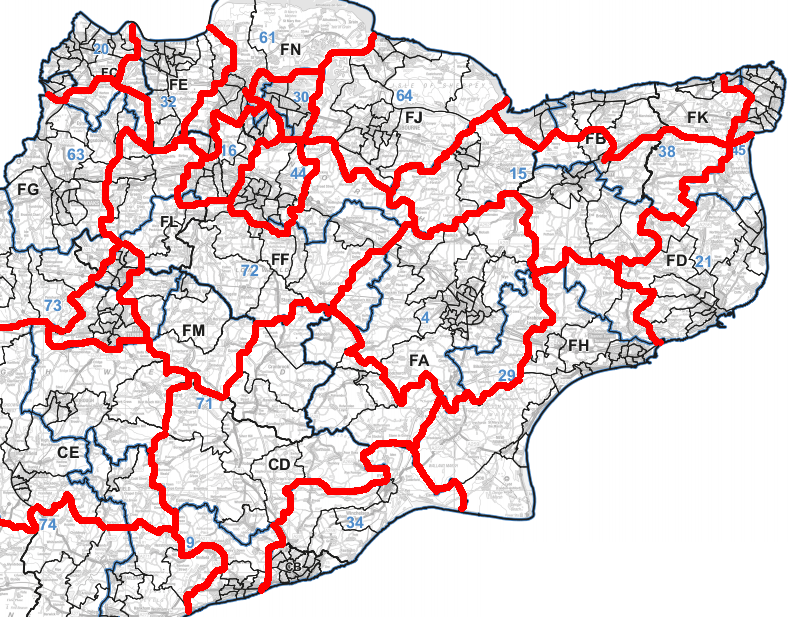 Doesn’t a constituency, if it is coterminous with a government district, have to have the same name as it, like Gravesend had to be called Gravesham, or has that rule been removed? If it hasn’t, your Folkestone & Hythe needs to be renamed Shepway. The centre of Rochester & Chatham is tricky, partly because of the way the council has drawn the ward boundaries. When I drew up the plan, I was at least happy that I’d got something better than the Commission’s mess, but you are right that I should swap the two wards over. I agree that there are more three-district seats than I would like but it’s not the end of the world if the improvements are otherwise worthwhile. It also goes against my principles to cross the Medway boundary twice, but at least both combinations are with the the same borough, and I hardly think it’ll “get thrown out” given all the criss-crossing that’s going on in other cities and UAs around the country. I don’t think there’s a fixed rule about naming, otherwise they wouldn’t call Witney Witney.